Ask any kid who the coolest Star Wars character is and you’re bound to hear the name Boba Fett at least a handful of times. Sure, Darth Vader has an awesome lightsaber and that deep, booming voice, not to mention some really neat powers? but what could be cooler than flying around space with your own ship, catching the galaxy’s most wanted criminals? Of course, if your child wants to start a career hunting the galaxy’s most wretched scum and villainy, they’re going to need to do so in style. Whether they’re chasing down elusive Corellian smugglers or apprehending the vilest of Hutt gangsters, your child needs something that will strike fear in the hearts of their enemies. Not to mention, a super awesome jetpack and helmet to help them fight off the monstrous Sarlacc in the Great Pit of Carkoon. Of course, you could just go with the standard Imperial Stormtrooper armor, but why settle for something that can’t deflect even a single blaster bolt? 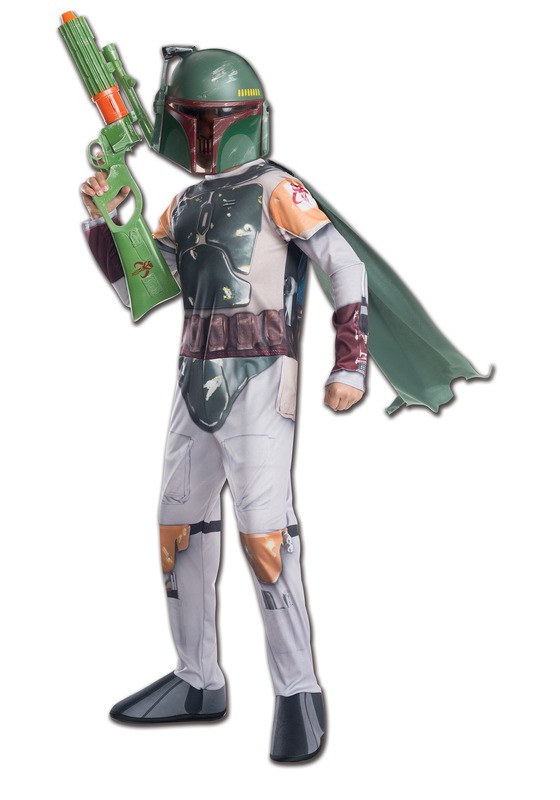 My 10 yr old wanted to be Boba Fett for Halloween this year and was so excited to find the costume online. It arrived with time to spare and no defects. He had a blast during Trick-or-Treat with lots of kids dressed as Stormtroopers, Darth Vaders, and Sith Lords...his costume was truly unique in the Star Wars universe and he got lots of great comments. He still puts it on from time to time even after Halloween just to have fun pretending. Thanks!! !